Epic Space Electronica between the Realms of Time. Legendary synths meet contemporary electronica. 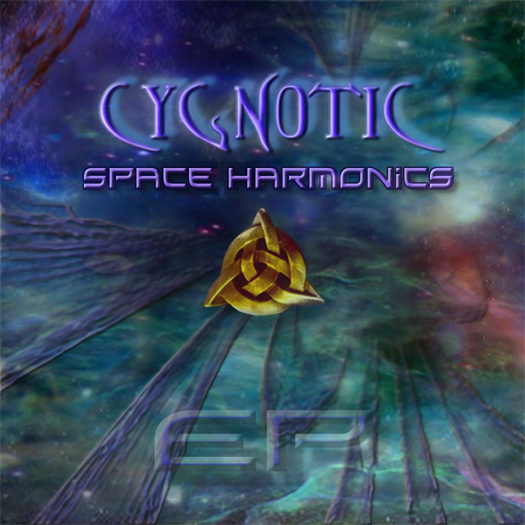 The SpaceHarmonics-EP connects the Cygnotic full albums 'Reflections from the Future' and 'Through the Gates of Nocturnal Sleep'. Titled 'Space Harmonics' because it features three versions of this epic Cygnotic track. The original 13 minute track (call it the 'extended version' with deeper space & more astronautic bleeps), the 7 minute album version (also to find on 'Reflections') and the 303-SpaceClub-Mix (more beat- and cluborientated & quite 'acienated'...so for the 303). Furthermore it's packed up with two more bonus tracks that completes this release perfectly. The remastered, yet unreleased older track ('Ambient Flight') and a (then) brandnew 'Interstellar' track for more analogue space moods...and a release with about 50 minutes playing time could not be yet called a longplayer, but perfect for an EP, aye?